The only ticket any country fan will need this summer, the 2018 Country Megaticket, is on sale now! 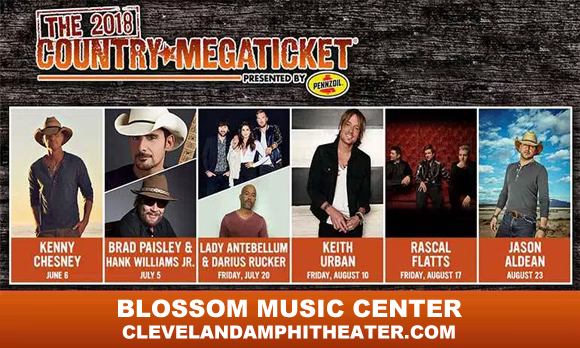 Giving you entry to the biggest shows of the year, with the Megaticket you can catch Kenny Chesney, Brad Paisley + Hank Williams Jr., Lady Antebellum + Darius Rucker, Keith Urban, Rascal Flatts and Jason Aldean and many more, all at Blossom Music Center! There's a limited supply of tickets, which are only available until June 5, so don't dely – book your 2018 Country Megaticket today!